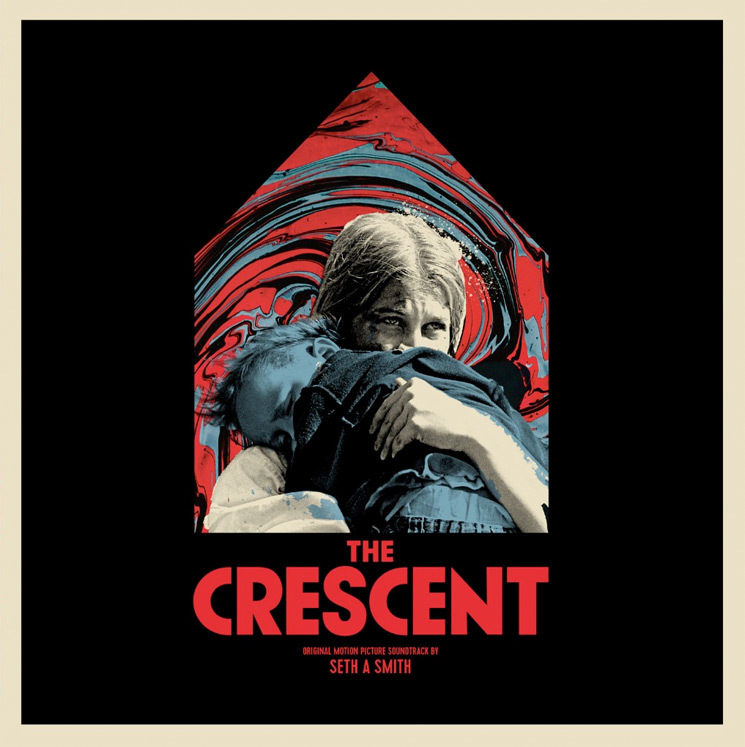 With Dog Day leader Seth A. Smith not only reuniting his old band but seeing a wide release of his latest film The Crescent, he's now announced his soundtrack to the horror flick is also headed our way. Following a festival run, The Crescent will play select Canadian theatres starting on August 10 via Raven Banner. Its soundtrack — also made by the Nova Scotia artist — will then arrive on September 7 via Label Obscura. The soundtrack will be getting a digital release, as well as a limited vinyl pressing of 300 copies on marbled wax. It features artwork by celebrated collective Yorodeo, and you can see the cover above. The Crescent was directed, edited, co-written and scored by Smith. It was produced by his partner Nancy Urich and stars their two-year-old son Woodrow Graves. For the unfamiliar, the film itself is described like this: "Set in a remote seaside cottage with eye-popping effects from the body marbling artists of BL Visuals, Smith's latest transcendent opus delves into the creeping psychological horror of single parenthood as stages of grief summon ancient monstrosities." Smith's influences on the film's soundtrack range from classical music to church organ records to 1970s space-disco. Created with virtual instruments he used to sample improvised voice recordings from the cast and the warped sound of himself pretending to cry, its ominous ambience brings to mind Broadcast's score for Berberian Sound Studio. Devoted Dog Day fans may even be able to spot a fragment of their song "In the Woods" paying tribute to Rosemary's Baby. Yet, in the end, the film's two-year-old star played the biggest role in its soundtrack as well. As Smith himself further explained, "Woody and I go to Value Village together. He's super into music and it's a fun thing to go through the dollar bin to pick out a few records. His favourite bands are Black Sabbath, ABBA and Daft Punk, so the soundtrack ended up like an amalgamation of those three. When you're a parent you're listening to those songs on repeat all day, so we're lucky that's the kind of children's music he likes. They enter your mind and come out in weird ways." To further help promote the music of the film, Dog Day will play material from the soundtrack at a pair of reunion shows in August. You'll find the dates below, where you can also check out the newly revealed OST track "May I Enter Your Heart" and the film trailer.